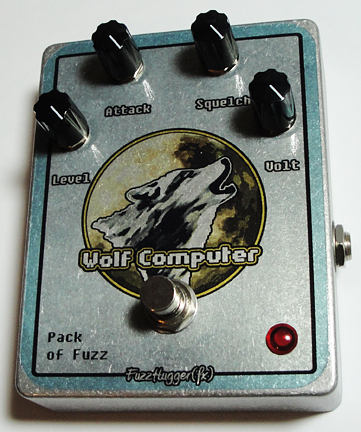 Wolf Computer, Fuzz pedal from FuzzHugger (fx). 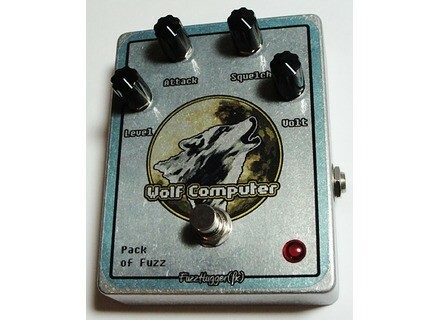 FuzzHugger(fx) announced the Wolf Computer fuzz pedal, discontinued by Mellowtone earlier this year. to make the pedal available again. The pedal is described as "a snarly, crunchy triple-silicon fuzz that delivers a huge range of tones: classic fuzz, overdrives, synthy textures, self-arpeggiation, glitching, and more." Enclosure measures 4.37" X 2.37"
For more, check out www.fuzzhugger.com. Keith McMillen Instruments Batt-O-Meterdelete Batt-O-Meter is a battery tester for musicians. Lick Library Stevie Ray Vaughan guitar tuition DVD's Lick Library has released a new title in the series of DVD’s to learn how to play the jblues guitar riffs, licks and technique of the late Stevie Ray Vaughan (SRV). Black Cat OD-1 Black Cat has just released the OD-1 (a.k.a. Freddie Fuzz), OD-Fuzz, Super Fuzz, and Bass Octave Fuzz, with plans to relaunch the entire line.